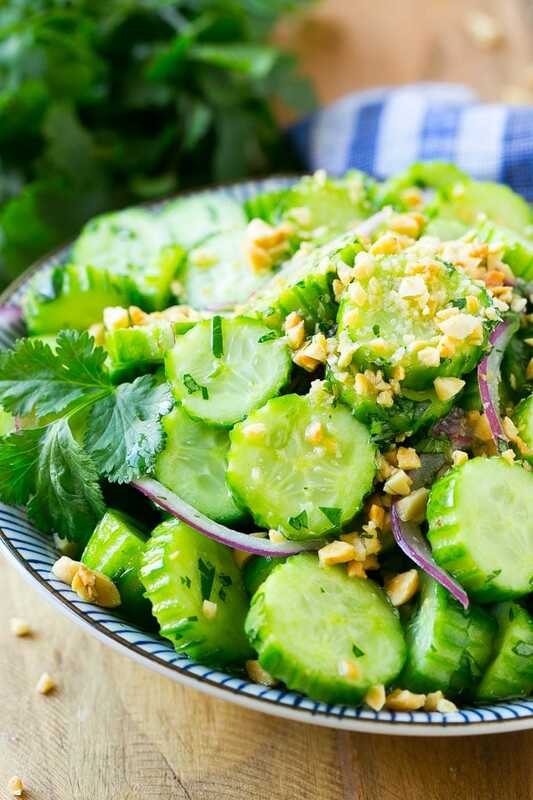 I use small cucumbers (Persian style) for this recipe, because that's what my thai restaurant uses. If you can't find the little cucumbers, try an english cucumber that's been quartered and sliced. My Thai restaurant's cucumbers have little grooves on the outside, which is both pretty, and functional to let the thai cucumber salad dressing soak into the nooks and crannies. I copied this effect by peeling my cucumbers with a lemon zester, but that's an optional step. Salting the cucumbers is imperative here; it makes the cucumbers stay crisp in the salad.